LONG ISLAND – In celebration of the Long Island Nets’ first playoff appearance in franchise history, the Town of Hempstead will be recognizing the Long Island Nets by establishing an official ‘Long Island Nets Day’ tomorrow, March 29, as the team hosts Raptors 905 at NYCB LIVE, home of the Nassau Veterans Memorial Coliseum, for the NBA G League Semifinals at 7 p.m. 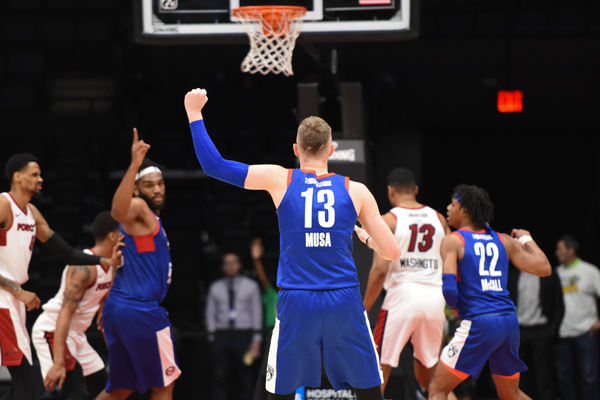 In the regular season, Long Island tied for the best record in the NBA G League (34-16), finished first in the Eastern Conference and also clinched the Atlantic Division. Prior to the start of the game, Town of Hempstead Senior Councilwoman Dorothy L. Goosby and Councilman Anthony D’Esposito will deliver the ceremonial game ball and will present the Long Island Nets with a citation officially declaring March 29 as Long Island Nets Day. For more information on tickets, please visit LongIslandNets.com, Ticketmaster.com or by calling 800.745.3000. Tickets are also available for purchase at the Ticketmaster Box Office at NYCB LIVE.